Cristiano Ronaldo’s praise has delighted Marco Asensio, but the Real Madrid attacking midfielder does not have his team-mate’s Ballon d’Or crown in his sights any time soon. 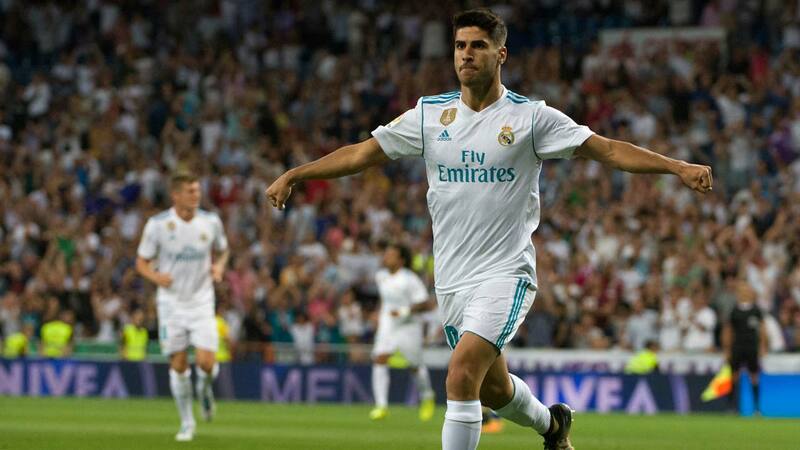 Asensio agreed terms on a new six-year contract on Thursday that increases his release clause to around €700million and formally signed the deal at a ceremony yesterday. It continues the 21-year-old’s remarkable rise to prominence, having scored a host of spectacular goals since breaking into Madrid’s first team last season. Portugal star Ronaldo is the favourite to win another Ballon d’Or crown this year and recently named Asensio as one of his potential successors, but the individual award remains a future goal for the man of the moment, as opposed to an immediate priority. “Receiving praise from Cristiano Ronaldo is a joy,” said Asesnsio.“But I don’t think about winning the Ballon d’Or because I’m young and everything will happen when it happens. “I can improve a lot, I have room to improve. I am young, I have to grow every year in many things.”On his new long-term contract, Asensio added: “It is a very important day for me. Renewing my contract with the biggest club in the world is a source of real pride. “The goal in the Champions League final [was my favourite so far], it’s a dream goal to play a final, to win and to score. It was amazing, very exciting. Asensio signed for Madrid in November 2014, but stayed on loan with Mallorca, the club who sold him, for a further year-and-a-half. He then spent the following campaign with Espanyol, before making his mark at the Santiago Bernabeu last season.